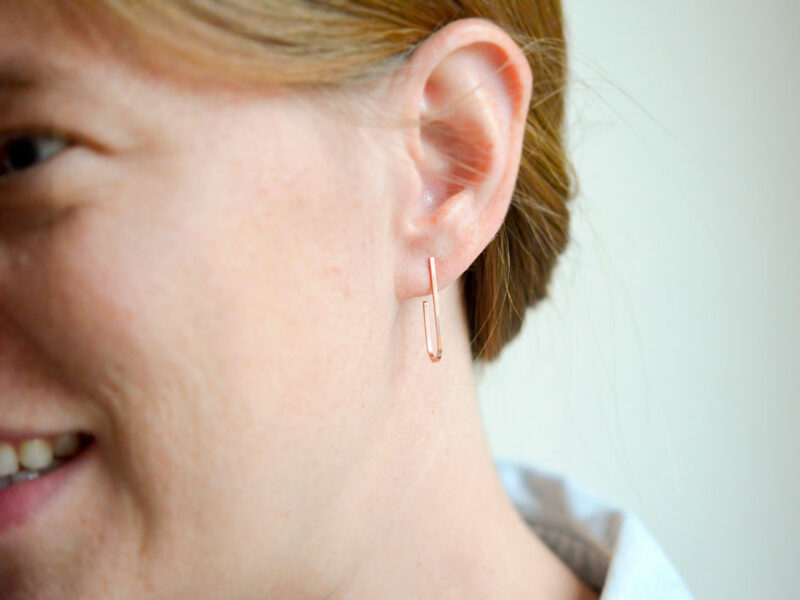 Delicate 14k rose gold drop earrings with posts! 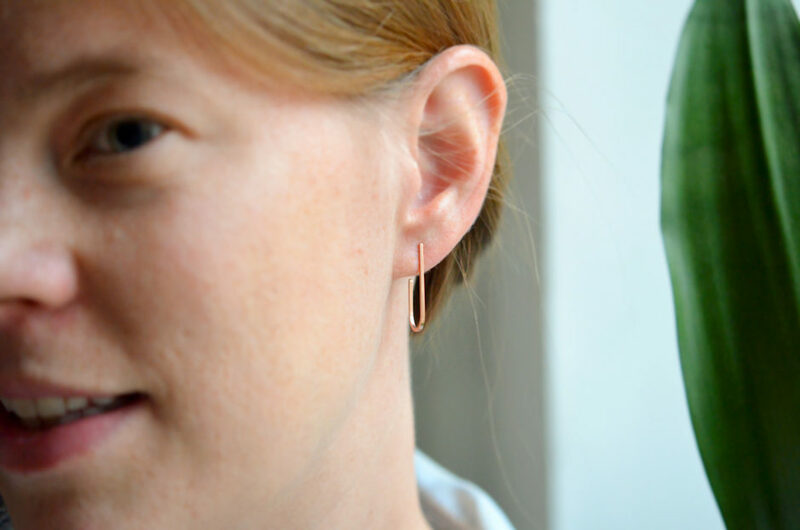 A simple pair of 14k pink gold bars wrap around to make faux hoop earrings. 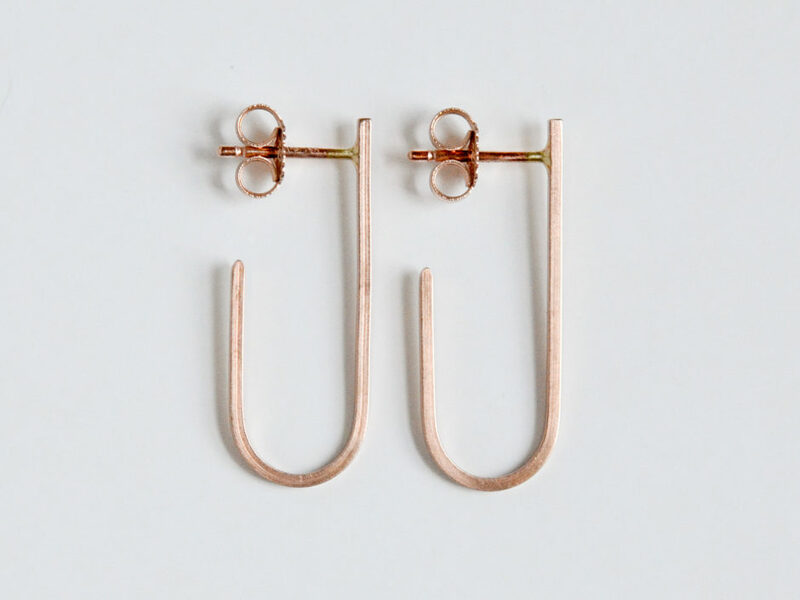 *J bar earrings measure approximately 3/4″ long from the top to the bottom of the drop. 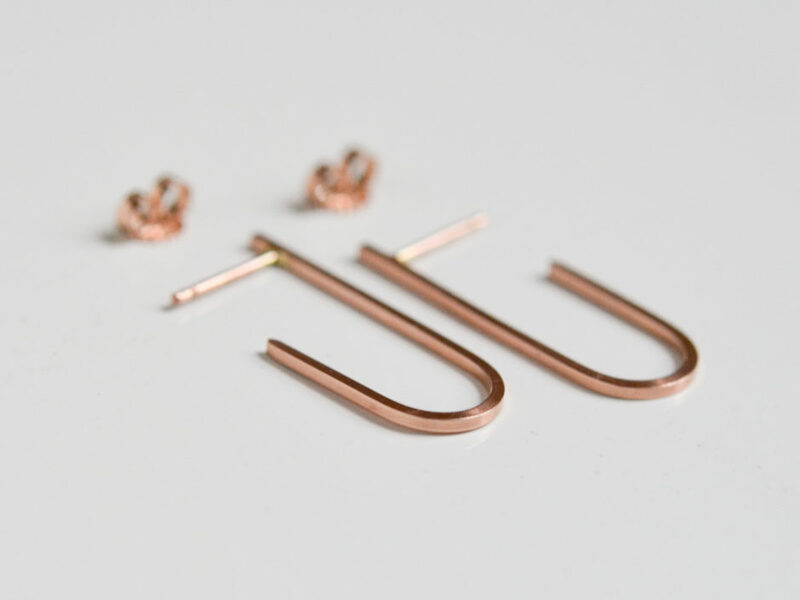 *The earrings, backs and posts are solid 14k rose gold and are nickel free! 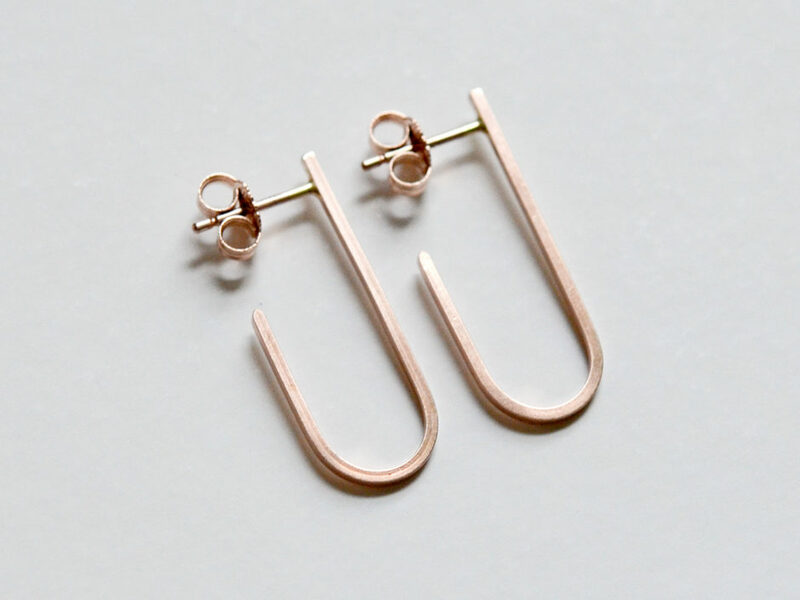 Great for sensitive ears.